At the 2011 MTV Video Music Awards last night August 28th, 2011 they released the first trailer for the highly anticipated adaptation of Suzanne Collins novel “The Hunger Games”. The movie’s cast includes Jennifer Lawrence, Josh Hutcherson, Liam Hemsworth, Elizabeth Banks, Stanley Tucci, Wes Bentley, Woody Harrelson and Lenny Kravitz. 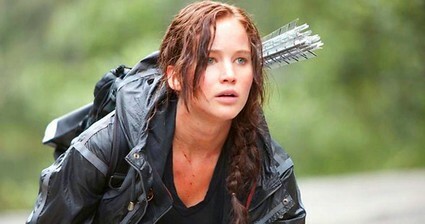 The Hunger Games is being directed by Gary Ross, and produced by Nina Jacobson. Suzanne Collins’ best-selling novel, which has over 3 million copies in print in the United States alone, is the first in a trilogy of novels which have developed a global following. The film will be released on March 23, 2012. Take a look at the video below and let us know what you think of the sneak peek? Satisfied? Does it leave you wanting more?